For over 20 years Femap has been our FEA pre-post processor of choice. Read here why. If you are considering whether Femap is the right solution for you, you are a just one mouse click away from product description pages, industry case studies, key features overviews, free trials, online manuals and online reviews. What could we possible add more to this? Well, our own story maybe? Our reputation depends on delivering quality FEA in an efficient way. Would we work with unreliable tools? 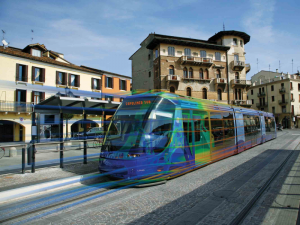 Below we listed three reasons why we chose Femap as our premier pre-post processor. The combination of these factors makes Femap the right solution for us for over 20 years now. Femap is very mesh-centric and offers users a lot of mesh control. 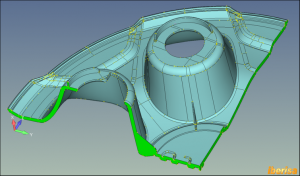 Quality mesh equals quality FEA results, so meshing is important. However, it can be tedious work and therefore it makes sense, especially when a lot of meshing has to be done, to invest in software that makes this part extremely easy to perform or automate. Another gem of Femap is its very detailed and intuitive visualization capabilities in post processing. To have clarity is to have confidence and Femap tends to rock at separating clutter from what’s important. It’s only by quickly understanding what assumptions lead to our results that we can save time and increase productivity. We execute a resource efficient strategy when it comes to selecting FEA software. This is a fancy way of saying we don’t want to overpay. Femap is professional software, so naturally it comes with a price. But, compared to FEA packages with similar capabilities, Femap’s price really justify its value. This way our business growth isn’t hindered by increased licensing costs. For students there’s even a free version available. Unless there’s a logical reason for change, we FEA engineers don’t really care for it. We prefer to focus on delivering quality work and believe a tool is only as good as the hands that wield it. But whether we like it or not, change happens. Over the years Femap rarely let us down. It’s open, scalable and has an easy to learn interface. Of course experience with the software matters, but Femap has proven us over and over again it’s adaptable to basic and advanced FEA needs. Its adaptability makes it a future-proof software choice. We hope this information was in any way valuable for you. If you need more information, please contact us or visit our Engineer with Femap Event on May 16th in Delft. Come to Engineer with Femap on May 16th! This is your chance to hear and learn what we do best with help of Femap. Femto Engineering is Siemens PLM SMART EXPERT partner for Femap. We take pride in this, but are first and foremost Femap users. Do you and your team have the right resources to gain or maintain a formidable engineering reputation? 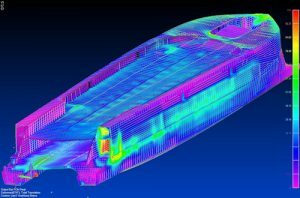 Would you like to see the capabilities of Femap for yourself?